We do DJ’s parties, live bands and thematically tuned nights. We offer a great range of exotic cocktails and modern cuisine. Visit our photo gallery from parties taking part in Aloha Wave Lounge. 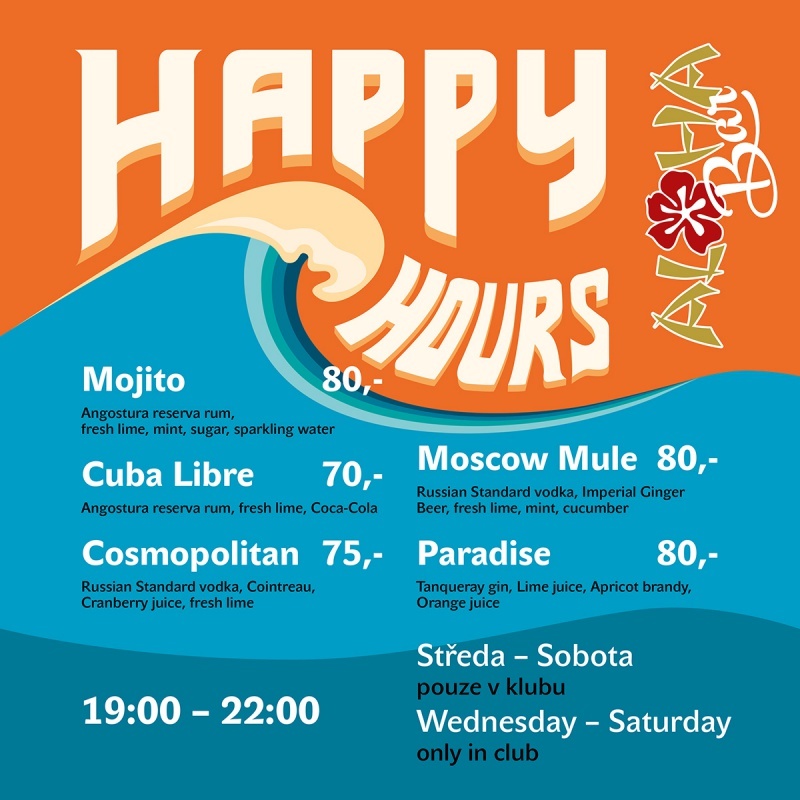 Aloha Wave Lounge is ideally located, right in the heart of Prague - near the Old Town Square. © Copyright Aloha Wave Lounge 2018. Všechna práva vyhrazena.